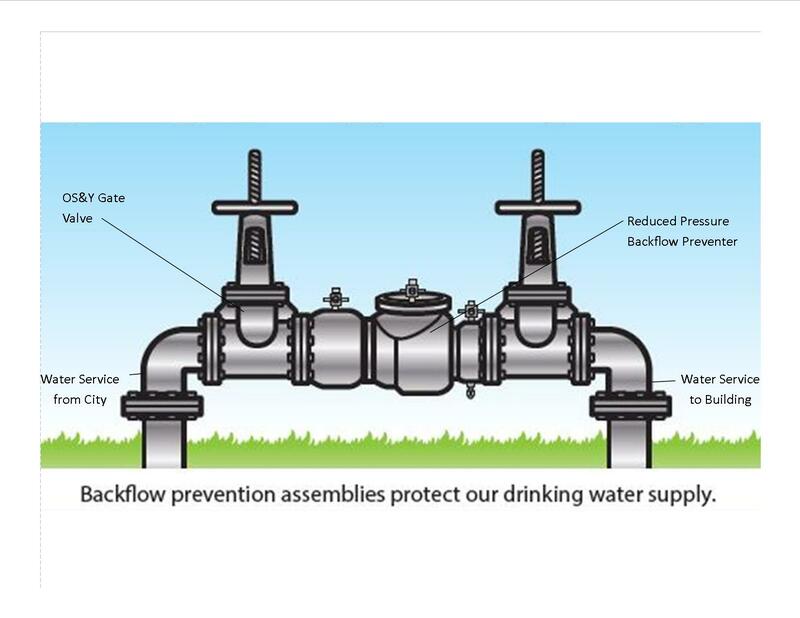 Put simply, an irrigation system backflow prevents contamination of your water source. More specifically, it is a device placed between the water source (your meter) and the rest of your irrigation system to make sure that any water pumped into the irrigation lines doesn’t get pushed backward and end up mixing with clean water, like drinking or potable water. 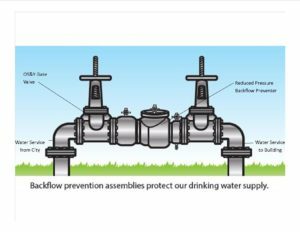 Every residential and commercial irrigation system is required to have a backflow device. They typically appear above ground not far from the meter and cost about $200-$600 for the unit (not including labor). Here in Central Florida, we’re required to have a reduced pressure assembly, or RPZ style, backflow device. This is considered a “high-hazard” unit and is virtually fail-safe. The assembly has two check valves which close if water begins to flow backward, stopping the opportunity for contamination. At the same time, it has a hydraulically powered relief valve that opens, evacuating the water that has pushed back into the unit. The RPZ assembly is required to be a minimum of 12” off the ground. Annual testing of your backflow device is recommended. A malfunctioning backflow is no better than not having one at all – the main water source will still be in jeopardy of contamination. 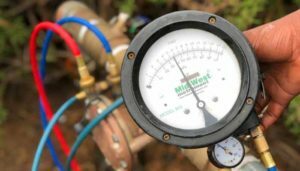 During testing, a trained and certified technician will hook up a series of hoses connected to a pressure gauge and the backflow will return pressure rates. The technician is looking for steady pressure. A loss in pressure would indicate failure of the backflow device or one of it’s components. Testing fees range based on the size of the backflow from $60-$150 and repair prices depend on a variety of factors. 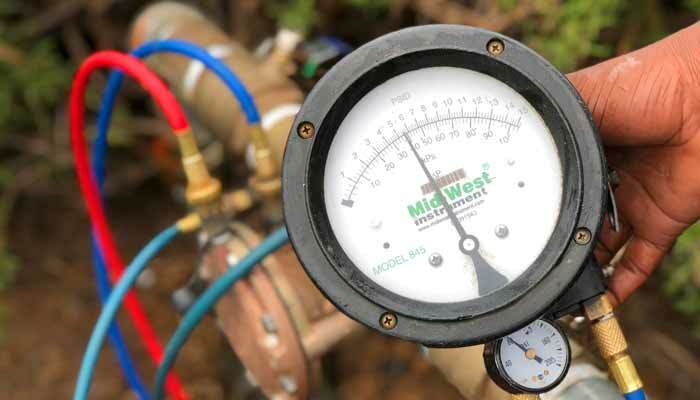 For more information about our backflow inspection services and to learn why backflow prevention devices are critical for your irrigation system, contact us today.